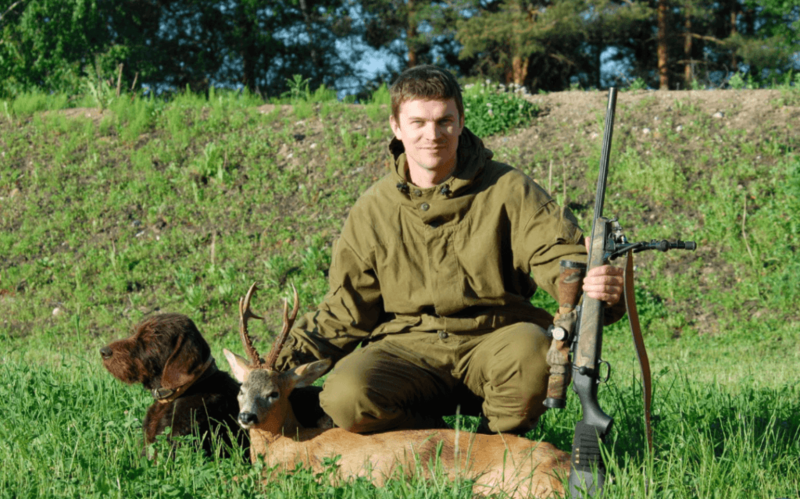 Hunting in Belarus is very popular among locals and foreigners. Almost virgin forests and mild European climate create all conditions for a variety of wildlife and birds. In Belarus, hunting for roe deer, deer, wild boar, hare, elk, wolf, partridge, geese, ducks, grouse and other animals is permitted. 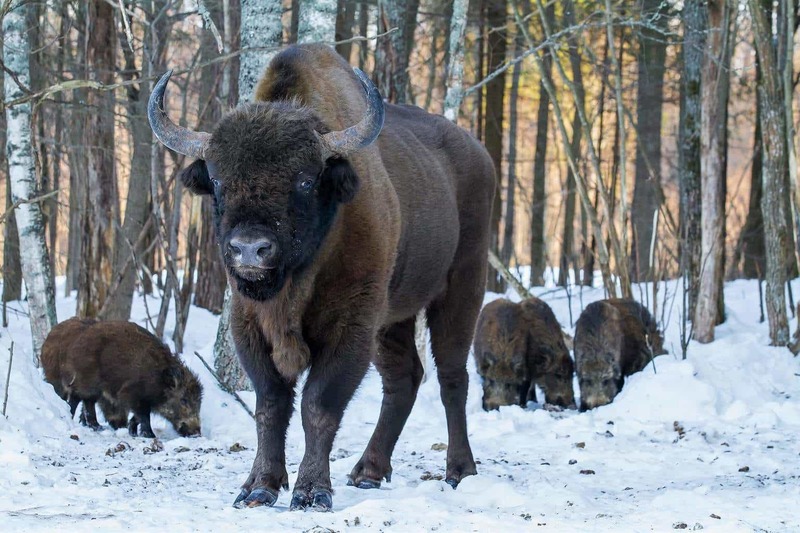 And, even for the handsome symbol of Belarus – European bison – the largest animal of the continent! However, this is not a cheap entertainment, and you should get permission in specialized hunting farms. Find out everything you need to know about this popular activity in our article! The country is also interesting and attractive for fans of hunting due to the fact that the total area of ​​hunting grounds is about 17 million hectares. True lovers of this activity have enough space for their favorite hobby in Belarus. Fans of hunting tourism are encouraged by the fact that almost all the year round it is allowed to hunt for more than 50 species of animals in the country. Thanks to these advantages, many foreigners, as well as amateurs of active tourism annually spend their holidays in this land of forests. But, is it not as easy and simple, as it may seem at first glance. Let’s look at this in more detail. Hunting from ambush (wild boar, deer and roe deer). Hunting with dogs (elk, roe deer, deer and wild boar). Hunting from the approach (beaver, boar, roe deer, moose and deer). Hunting from the towers (you can hunt only for wild boar and deer). Hunting with a quiet approach (deer, wild boar, roe deer and moose). To maintain the population of certain species of animals there are annual bans. The hunting calendar for 2017 will help you to familiarize with the terms. It should be noted that the prices for hunting in Belarus depends on the type of animal that you want to hunt for. Currently, the average prices vary from 10 to 1000 euros, but they can be higher. While the final cost depends on the hunting grounds, where you go hunting. There are many places in Belarus to hunt for large and small animals: in the south, north, west and east. However, according to many hunters, one of the best places for this activity is the Bralslav region. On the territory of the “Braslav Lakes” National Park, hunters are provided with 26 hectares of hunting grounds and a large variety of game, which is allowed to hunt for almost the whole year. You can also enjoy this activity in the “Bialowieza Forest“, “Pripyat” and “Naroch” National Parks, as well as “Berezinsky Biosphere Reserve”. In Belarus, there are many hunting farms that offer their guests not only to hunt, but also to arrange an excellent active or, conversely, relaxing holiday. The hosts, as a rule, help with all the nuances of hunting. Foreign tourists get a visa support and help with other documents, they are met at the airport, provided with an interpreter. Hunting farms provide accommodation and meals during the hunting tour, take into account the guests’ wishes for leisure activities, can arrange an extensive tour around the attractions of Belarus. In addition, the organizers will prepare a place for hunting, invite the huntsmen, assist in the transportation of hunting trophies. There is a lot of Hunting farms in Belarus, and they are always near the forest. Let’s look at some of them. “Bely bor” hunting farm is located in the central part of Belarus, in the Minsk region, on the territory of Slutsk and Kopyl districts, only 80 km from Minsk and 30 km from Slutsk. It offers year-round hunting for moose, deer, wild boar, roe deer, wolf, waterfowl and wading birds. The high number of animals, the availability of shooting towers in the farm, recreation centers create all conditions for successful hunting. It also provides guest houses, which have everything you need for a good recreation, and other services for an unforgettable pastime. Krasnoselskoye Hunting farm is located near Minsk, just 40 km from the capital, in the direction of Molodechno. The farm offers hunting for wild boar, elk, wolf, deer, roe deer, beaver, and fowl. Also, Krasnoselskoye provides all services for the organization of this activity. For a complete rest, there is a hotel equipped in a bath, billiards, kitchen, barbecue and a lake. White Path hunting farm is located in Grodno region, on the territory of Mostovsky district. The farm offers year-round hunting for elk, deer, wild boar, roe deer and birds, and provides a full range of services for its guests. The base with all amenities is located on the shore of an artificial reservoir and is surrounded by a forest. The territory is protected, and includes a huntsman house, a cutting room with a refrigerator, a parking lot, an outdoor swimming pool and a sauna with billiards. Obsterno hunting farm is located on the north-west of the Vitebsk region, in the Miory district. And, different from the above ones, the land includes part of the “Yelnya” reserve – the largest upland bog in Europe. A cozy hunting base is located on the shore of a large and beautiful Obsterno lake, in the village of Zacharyrev. It specializes on ungulates: elk and roe deer. You can also hunt for a hare, marten, squall, squirrel, mink, muskrat and wild fowl. In addition to that, Obsterno organizes observation of wild animals, fishing, walking, boats riding, kayaking, riding cross-country vehicles, quads, snowmobiles. To buy a gun and related products, you need to get a hunting ticket – it is a certificate for the right to hunt in Belarus. 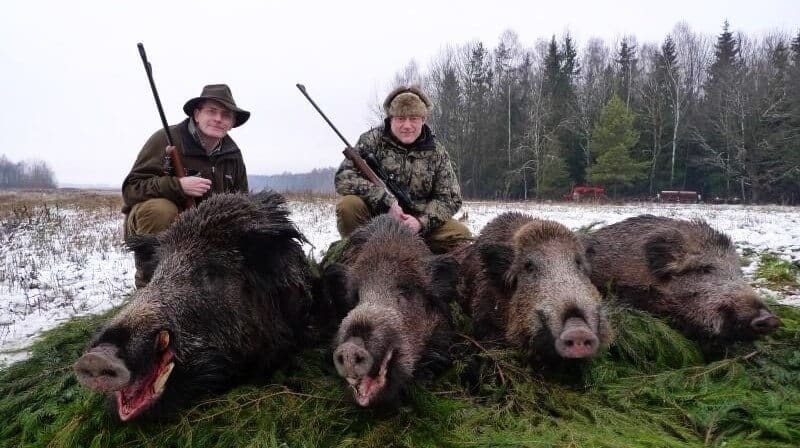 Belarus is great for hunting tourism! 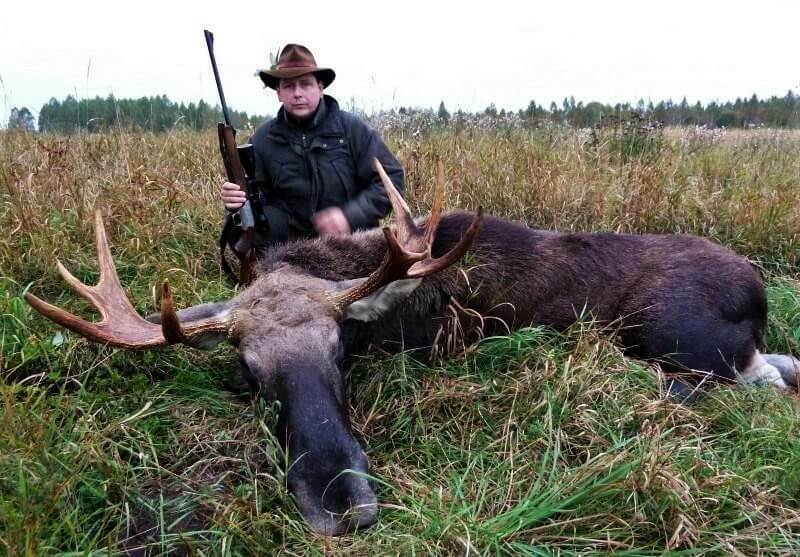 Visiting it, you can enjoy all the advantages of this region, since the prices for hunting here are much lower than in Europe, and even in Russia. The opportunities for shooting various animals are huge, come and you will not regret! 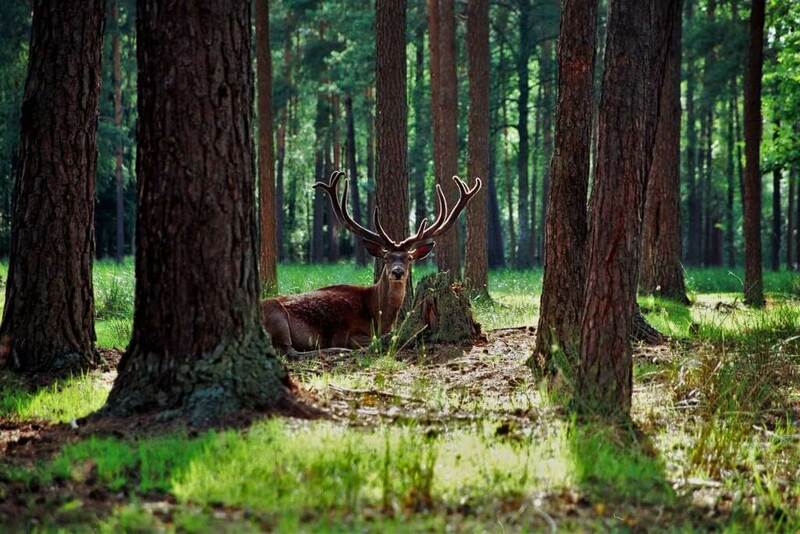 Read about national parks of Belarus. We wish you a successful hunt!